the sunset. But the questions loom large. What type of boat? Where do we sail? How will we manage? These are all questions sailing contributor, Matts Djos and his wife Jeanine, faced when he retired in 2006 and his search for answers is recorded in his new book, "Sailing Out of Retirement." Starting with a trailerable Balboa 26 , Matts and Jeanine move up to a Mariner 31 ketch, which they restore and fit out for cruising. Some of the chapters have appeared previously in SAILING Magazine and may be familiar to readers, but they've been updated for the book. For retirees and the curious of all ages, the book will serve as a guide and case study of one couple's endeavor to live the dream (May 2011). CRUISING WORLD: In a nation of baby boomers, this volume targets an often ignored niche: senior sailors. The crux of the book is a primer based on the septuagenarian author's experiences gleaned when, after retirement, he and his wife bought a Mariner 31 ketch and went cruising. Djos advises on choosing and buying a pre-owned boat, refitting, selecting a marina, heavy weather tactics, and medical issues for older cruisers . 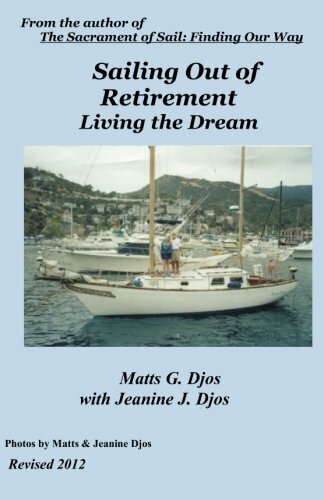 SOUNDINGS MAGAZINE: Seasoned sailors with the wind still in their sails might consider "Sailing Out of Retirement: Living the Dream" by the veteran cruising couple, Matts and Jeanine Djos. The two have extensively sailed the West Coast from Canada to Mexico, and Matts has written extensively as a freelance writer for multiple nautical magazines. In their new book, the retired couple offers suggestions on how to find the right used boat--drawing from their own experience--from an extensive restoration to a shakedown cruise. Also chronicled are the nuances of marinas and moorings; short and long term cruising, common sense seamanship, matters of personal health, safety and onboard ambiance and comfort--all geared toward retirees and seniors . The Djoses currently sail a trailerable 26 foot Balboa and a Mariner 31, which is moored in San Pedro, Calif. . 48 NORTH: . . . of special interest to novices, adventurers, retirees, and armchair sailors . . . Given their experience over fifty years under sail, Matts and Jeanine describe how to find just the right pre-owned boat, including what may be involved in an extensive refit, restoration, and shakedown. . . . 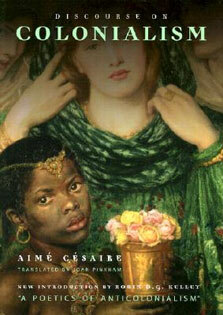 AUTHOR'S DESCRIPTION This is a book for retirees, armchair sailors, dreamers, and lovers of the wind and sea. Sailing couple, Matts and Jeanine Djos, will suggest how to find just the right pre-owned boat by their own example and describe from personal experience what may be involved in buying and refitting a boat, shaking it down, and finding just the right marina. Also included are tactics for heavy weather sailing, common sense seamanship, the pleasures (and advantages) of seniority, personal health and safety, and onboard ambiance and comfort. As the great poet, Tennyson, wrote of Ulysses, "There lies the port, the vessel puffs her sail, and while much is taken, much still abides." So come join them, and perhaps you too shall discover something unexpected and remarkable about the rollicking sea, the wayward heavens, and the wonder of discovering a well-found boat that suits your needs perfectly! Matts Djos is a lifelong sailor and boating enthusiast. He and Jeanine have sailed much of the West, including the Pacific Northwest, Canada, Mexico, California, the Great Southwest, and the Rockies. Matts has written extensively on sailing and is a free-lance writer for 48 North, Sail, Sailing, and Cruising World. He and Jeanine are the Authors of The Sacrament of Sail: Finding Our Way (Amazon, 2011). Matts is the author of The Spindrift (Amazon, 2012).